As a mom we always see all these toys that we think our children are going to like and ones we want them to like. There are so many different options for kids of all ages. There are stuffed animals, educations toys, books, fun toys, noisy toys, balls, blocks ... You just hope that when you buy your child a toy they get hours of enjoyment out of it. It doesn't always work that way though. 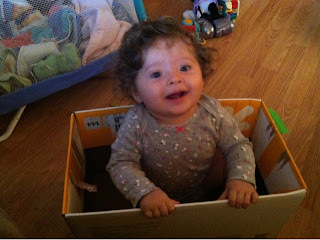 It is amusing when kids find the most enjoyment out of objects that aren't necessarily meant to be toys. Aubriella played in an empty diaper box the other day for what seemed like hours. 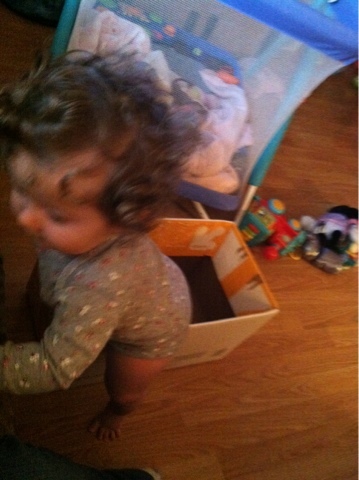 She would climb in it and out of it. Sit in it and spin around. 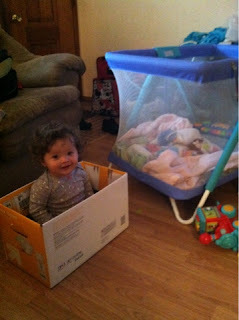 After she was done we put my niece in there, Claudia who is 7 months old and she had just as much fun too. 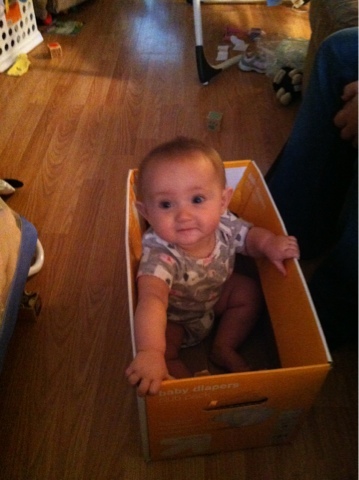 Why do we spent hundreds of dollars on toys when she would be perfectly happy with an empty box.